The Scioto County Commissioners have taken on the important task this holiday season of relaying Christmas wishes to Santa himself from Scioto County kids. Last week a “Letters to Santa” mailbox was placed in the lobby of the Scioto County Courthouse where letters to Santa can be dropped off. During their meeting on Tuesday three letters to Santa were read, one by each commissioner, during the live-streamed meeting with items like Paw Patrol toys, slime, and cars being on the wish lists. All three commissioners assured they would pass those letters on to Santa Claus at his North Pole home. During the holiday season some of the letters delivered and sent to the courthouse will continue to be read following usual business matters beginning at 9:30 a.m. Tuesdays and Thursdays, and can be viewed at a later time by visiting the Scioto County Commissioners Facebook Page. 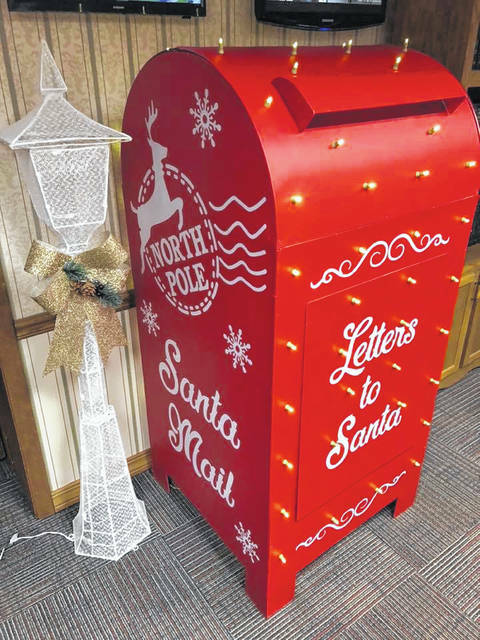 The Scioto County Commissioners encourage children to drop off their own letters to Santa, or simply mail a letter to the Courthouse Post Office addressed to Santa. Commissioners also want to remind the public that the annual Tree Lighting Ceremony will take place this Friday at noon at the Scioto County Courthouse.